We married and built the lives that most of society expected us to have. We met toward the end of our high school years, went to college together, and then got married over 30 years ago. We never had children, but we started the lives that most of society expected us to have. We got jobs, we worked hard to increase our status and our paychecks, we bought a house, and then we bought bigger and bigger houses as those paychecks increased. We had the mortgage, and the car loans, and the student loans, and the credit cards. With our corporate jobs, we eliminated our debt and worked towards an early retirement. In our early thirties, we started attacking our debt in an attempt to eliminate it completely. By our late thirties, all of our debt was gone except for the mortgage on what would be considered by most as a “dream home”. We were making great money and had beautiful furnishings, the nice cars, the country club membership, and pretty much everything that we thought we wanted. We were on a path toward a goal of acquiring “the number” that would allow us to retire early, but we were consumed with our jobs and we had become more like roommates than a married couple. We realized we were happiest when we were traveling and immersing ourselves in natural surroundings. In 2004, we spent more money on a vacation than we ever had before and enjoyed twelve days on a guided Alaskan wilderness tour. We had no phones, no laptops, no access to newspapers or TVs, and we reconnected with each other. We realized that we were our happiest when we were traveling and immersing ourselves in nature. We sold everything and moved into an RV. The next year, 2005, at the age of 41, we quit our high-paying, high-stress jobs, sold our house, our cars, and all of our stuff, and bought a truck and fifth wheel trailer. We had decided to simplify and keep our connection by living and traveling in an RV. Though we had eliminated most of the costs of our previous life, we had no fixed income. So, we had to figure out a way to earn enough to pay for our living expenses. Through a system of what is called “workamping” which matches RVers with mostly seasonal jobs across the country and a fledgling website we developed, RV-Dreams.com, we’ve been able to follow our dream of traveling and experiencing nature much more often than the two to three weeks a year we had in our corporate jobs. Eventually, our website about sharing and teaching the RV lifestyle became able to support us. Eventually, our website did well enough that it has allowed us to do some nature-focused international travel. 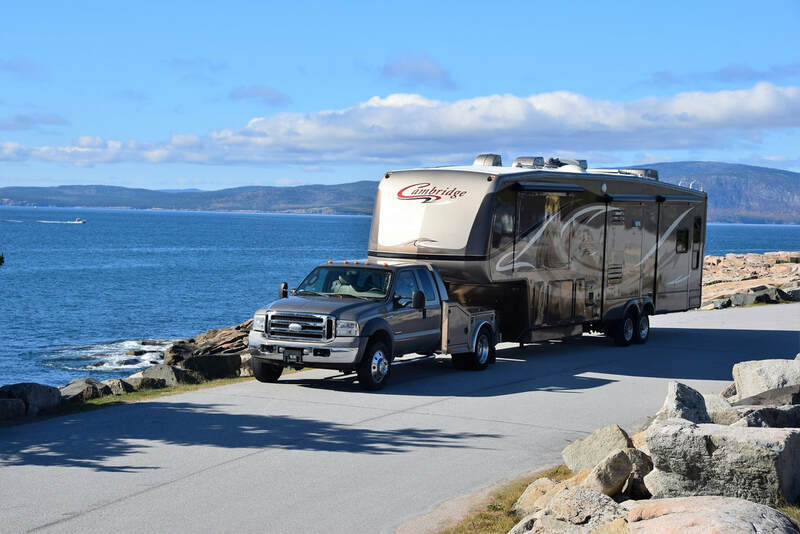 And it’s the freedom of our RV lifestyle that allows us to experience more fabulous places for weeks rather than days. For us, it has been a natural progression to go from sharing details of our RVing life to sharing details of all of our nature travels. Now we would like to start sharing with you the details of all of our nature travels around the world! to do a little more nature traveling of your own. It really is good for the soul!